Although many would argue that online gaming is a new innovation, the format has been around for quite a while now and dates back to the very first mainframe computers. The basic role of games in the start of the journey was to test the new systems that were being made. As soon as computers were built, we had games designed to test these computers. As we had the creation of networks, games were designed to test them as well. From MIT to NASA games have always been developed as a mode to test computing innovations and their feasibility to run full flow programs and graphics. Here we will delve into a unique history lesson that talks about the transformation of online gaming. From where they started to where these games stand now, this history lesson has it all. The World’s Fair actually introduced us to so many innovations in the world of online gaming. The ‘It’s a Small World’ at Disneyland still excites all of us. Although, ‘The World’s Fair’ was a way to introduce us to the achievement of many nations, it also played the role of a stepping stone for the online gaming sphere as we know it today. This timeline related to the development of early online gaming and the role played by The World’s Fair is mentioned below. The World’s Fair of 1939 and 1940 was a huge success. Besides just highlighting the achievements of nations in an aesthetical manner, the event also initiated the first ever computer gaming experience in the form of Nimtron. Nimtron was basically a computer that allowed all users to play the tough mathematical game of NIM. The launch received much recognition and helped propel the move towards a more enhanced gaming set up in the future forward. 1951 marked another important year in the progress towards a better computer gaming experience. After 1951 we had our very first computer game known as NIMROD. The game was an evolutionary version of what was presented to us in The World’s Fair of 1940. The game had complex math questions that required the user to think and enact them to achieve better results. Shortly after the first computer game, NIMROD, is launched, the movement towards more enhanced games took a rapid increase for the better. In 1952, there was the launch of the second most comprehensive computer game known as OXO. Computer gaming was well in and was aiming towards more acceptance from the users. This year marked the turning point in the gaming industry. During the year 1962 the game Spacewar was launched for all users to play. 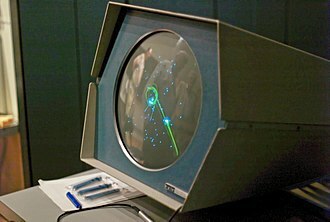 The release of Spacewar meant that all users could now enjoy a gaming experience on multiple stations rather than being stranded on just one. With the ability of the Spacewar to be played over multiple gaming stations, the future was inevitable. We just needed something more comprehensive to fulfill this wave towards better multiple stations. This was when the first home gaming console, ‘The Brown Box’, got released. The console did not really become successful as it was ahead of its time and users could not narrate to it on a really personal level. During the period when The Brown Box got released, arcade games caught the attention of many Americans. Sega released the game Periscope and Taito released the arcade game Crown Special Soccer to attract the renewed attention of the players. However, developers soon realized that playing a game alone was not nearly as fun as playing it with your friends. Although the network effect is a buzzword in Startups nowadays, what we do know is that playing across networks isn’t really a new concept. We see this concept early on in the evolution of computer games. Three important technological advances that took place during the period of late 1960s to early 1990s shaped the gaming experience for most of the gamers. What started off from host-based networks to time-sharing eventually led to the creation of the Internet as we see it today. All of these three innovations were quickly adopted by the gaming community with open hands. These innovations were greeted so well because the urge that was inherent in most gamers for a unique network effect was too strong. The advent of host-based networks had an important role in bringing forward the creation of the internet. These networks also play an integral part in the concept of multiplayer gaming. For starters, a host-based network can be considered one where all computers are connected together and rely upon a single host or a leader. This concept is similar to that of a mainframe computer and all client computers being linked to it. Moreover, time-sharing marked the innovation of the concept of spreading the processing power of a computer across different terminals. The concept for time sharing spurs off from that of host-based networks and can conflate well with its overall concept. The third innovation that we mentioned is of the Internet. During the late 1960s, we had our first message sent to the SRI or Stanford Research Institute by UCLA. The message had the word ‘login’, but the recipients only received the word ‘lo’. During the year 1971 ARPANET or Advanced Research Projects Agency Network began implementing the internet protocol for the future. This was a serious headway into the overall development of the concept of internet. Atari was created during the year 1972 and laid a unique benchmark for the development of games at a higher scale. During this period there was a significant increase in the number of multiplayer game developers. This rapid rise resulted in the creation of over 15 unique game development organizations over the course of the next decade. The next 7 years of this decade are met with some interesting gateways towards a better and enhanced gaming experience. The progress started off with the creation of the game Dungeons and Dragons that had its presence as the first role-playing game (RPG) category. At the same time when Dungeons and Dragons was wooing people over, NASA released its first game known as Maze. The game was created by interns in the department and was one of the earliest first-person shooting games. As the rise in the popularity of games is visible, Atari released the first revenue generating game in 1973. The game was title Pong. As the decade progressed further, we saw the release of Empire over the PLATO network. This was the first time that a game could actually be enjoyed over multiple networks and also opened the doors towards time sharing consoles. Spasim was then released a year later and was the first 3D shooter game that generated a lot of positive vibes from the users who could now connect to over 32 consoles. The stage is now set for multiplayer gamers. During the couple of years leading to 1975, Xerox also developed the first local area network. The network was built with Ethernet and the patent was handed over to Xerox. The 1970s laid the foundations for the release of gaming consoles and personal computers. The joystick came out in 1975 and was soon followed by the Atari VCS in 1977. Both these innovations enhance the overall excitement experienced by the player. 1982 and 83 have been called as the years of the computer by reputable names such as the Time Magazine. 1982 witnessed the launch of the first modem-transfer technology. The new technology made use of telephone lines to transfer data. After the progress in 1982, the internet was finally created on the first day of 1983. The days for online gaming could now commence. The 1980s also saw the release of the personal computers. Bill Gates created a game of his own and provided a set of BASIC codes to help programmers develop their own games as well. SGI Dogfight soon became the first ever game to use the IP or Internet Protocol by being released in 1986. The game was then limited to a single network. The 90’s was really an awkward time. No trend could stay for long as it was soon overlapped with something new that was even better. Nothing made a mark in this period besides RPG or role playing games. People had developed a liking for Role Playing Games and were willing to try them out on a more regular basis. During the mid 90’s developers such as Nintendo, Atari and Sega tried their luck at pushing online gaming forward. What they eventually found out was that internet gaming was expensive and really not fast enough. However, all was not gloom as 1994 marked the release of the title Warcraft. The RPG game initiated a movement that has made it popular to date. The late 1990’s mark an interesting curve in the convenience provided for users looking for online gaming. Windows 95 was released during this period and had a myriad of positive reviews from the users. Moreover Ethernet cards were now more affordable than before and were easily available in the market. 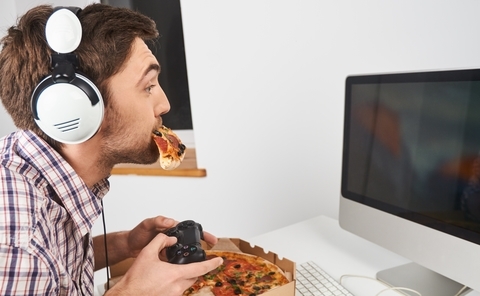 These two events ended up providing a break for online gaming. The dot com bubble was also going to bust during this time and it was evident that what awaited the future was surely explosive. Nintendo also released add-on features for its Nintendo 64 console. This also meant that Super Smash Bros could now easily be played online. 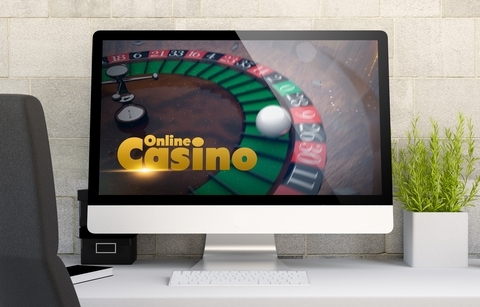 In 1996/97 the first online casino opened, now it was suddenly possible to gamble online. Players could now play roulette, slots, and blackjack from home. The selection of games was not very good, but it was easy to play compared to today where you need beginners guide to online casinos to play all the different casino games available today. The 2000s began with the dot com bubble bust. Users thought that tech would spiral down, but what actually happened was what online gamers had patiently been waiting for over 2 decades. The start of the 2000s saw gaming consoles with internet capabilities. The trend continues to date and had literally revolutionized the gaming experience back then. Sony’s Playstation 2 with its internet capabilities stole the show here. Sony had made a mark with the original Playstation and the second version was even better. 2002 was when Xbox Live shook the world with its introduction. The coming 4 years in the first decade of the new century meant that there was a new revolution in how games were played across portals. 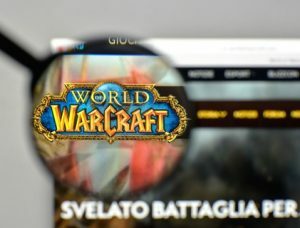 World of Warcraft was released in 2004 and developed a cult-following. The Nintendo Wii was released in 2002 and became famous for its Wi-Fi capabilities. People have started smoking less and started using their phones more. The decade from 2007-2017 marked the introduction of the normal handheld phones and then the smartphones. This introduction really revolutionized the online gaming experience and made things even better. What we see now is that games have started being introduced on mobiles before anything else. Angry Birds explodes on Apple’s App Store before coming on Android’s Play Store later. The game is interactive and can be played on the go, which is a brilliant addition for people who wanted to play games on their handheld devices. We now see the launch of numerous games on the application store for both the prominent mobile OS. The newer games coming in have advanced graphics and are regularly updated to negate any user complaints. Games like Temple Run, Subway Surfer, Fruit Ninja and even Candy Crush created a massive impact during this period. Mobile gaming is now said to produce even more revenue than the earnings made through console gaming. 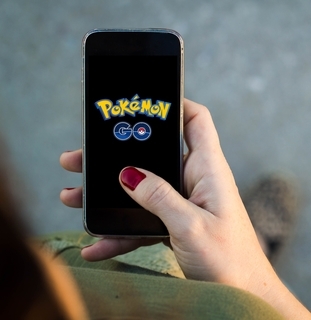 The release of Pokémon Go on both Android’s Play Store and Apple’s App Store marks the release of the first AR (Augmented Reality) game. The game changes the way mobile games earn revenue and has opened the doors to many innovations in the future. The history of online gaming has been exemplary and has shaped through according to the needs of the users. Although, what happens in the future cannot be assumed right now, but in the future people would probably want their reality to be virtual.